The story of New Hampton is written in its refuse. The run-offs of corporate greed and plausible deniability have slipped beneath its craggy surfaces and into the hearts of those who call it home. 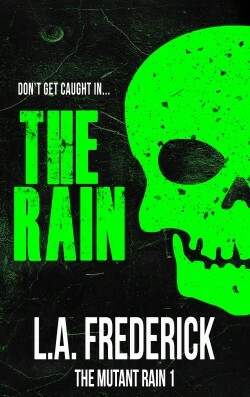 Overcrowded, crime-ridden, chaotic, and rife with the stench of rapacity, this dystopian cesspool has found a clever way to keep its insufferable citizens treading water, hopeless to see the corruption and helpless to stop it. For it is the actions of a few, calculated and cunning, that will affect all. A mysterious doctor, his young protege, and a monstrous enforcer are all playing gods–and as their wanton destruction goes unchecked so too does New Hampton’s demise. It is in the hands of an extraordinary few who find themselves at the precipice of change for this unholy city–and at the helm of significant change, be it for better or for worse. It is up to them to choose what happens next. New Hampton lies in ruins. Amidst the death and destruction, a few survivors cling to life avoiding the many pitfalls residing in the decaying city. The mutants hiding in the Bunker, led by New Hampton’s most famous vigilante Reinhardt, must devise a new plan to outlast the rampaging hordes, and more importantly Doctor Zhirkov and the infamous Watchroom gangs. The murderous Doctor Zhirkov sets about the next phase of his long devised plans to improve humanity, as we discover the crazed, obsessed and bloody history of the man. In a new world, plagued by infected masses hellbent of devouring all in their path, choosing whom to trust is the difference between life and death. 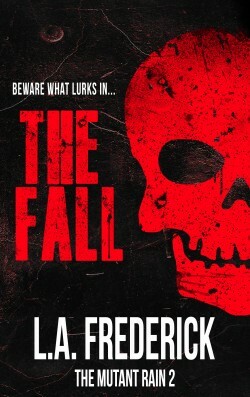 The Fall is the second book in The Mutant Rain series, a dark, dystopian, mystery, horror and science fiction story.